We know that chlorine bleach is a huge no-no. Not only is it bad for the environment, but it can burn your skin, it is very poisonous, dioxin and chloroform are by-products and it can create highly toxic chlorine gas if mixed with ammonia. We have known this for a long time, but we still dream of the good old days when bleach was an easy way to brighten clothing, disinfect just about anything and get rid of stains. The recent popularity of ‘oxy’ cleaners has leveraged off of people’s love of bleach. So what is an oxy cleaner anyway, and does it replace bleach? What is it made of, and is it safe to use? The science behind bleach is that it uses an oxidizer to break chemical bonds and release the stain-causing substance. In traditional chlorine bleach, a highly toxic substance called sodium hypochlorite is used as the oxidizer. In an oxy-based product, hydrogen peroxide plays the starring role. Quite simply, sodium percarbonate can be used as a direct replacement to traditional chlorine bleach. It disinfects, it removes stains (often better than other stain remover products) and is color safe and safe to use on most fabrics (except for a few very delicate ones including silk and wool). It is odorless and colorless and comes in either a liquid or powder form. This amazing product contains no phosphorous or nitrogen, making it a good eco-friendly choice. When mixed with water, the simple contents break down to hydrogen peroxide which is essentially water and oxygen, and sodium carbonate which is soda ash. 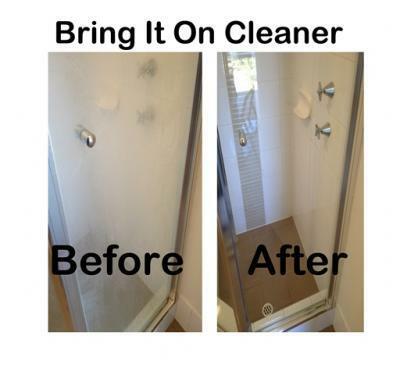 The amusing part is, like so many other eco-friendly cleaning products, it is incredibly basic! I recently picked a bottle up at my grocery store. I was quite ambivalent but glad to try an alternative that could really work. I am now a proud fan of it. Aside from the stain removing and brightening aspect, I also use it to clean my cleaning cloths and tools (such as brushes, sponges, and mop heads). Other great uses for this product include cleaning decks and siding, diaper pails, cloth diapers, as well as a great stain remover for carpets and upholstery and general disinfecting. A safe and effective way to protect your family from germs during the cold season requires cleaning with a bit of oxygen bleach on points of contact (like door handles and light switches ). For general disinfecting, you can add some to your bucket of hot water and mop floors with it. You can use it as a disinfecting countertop spray as well. Remember, sodium percarbonate will not break down grime (i.e. heavy-duty cleaning) but it will brighten and disinfect. So if you were to clean a toilet, you may want to spray it with oxygen bleach first, let it sit, flush, and then spray with your regular bathroom cleaner after so that you get the benefit of disinfecting and the power of your regular toilet cleaner. You can safely experiment with oxygen bleach at home, since it does not have the same corrosive, toxic and harmful properties that chlorine bleach does. Keep in mind what it does and use that as your guide: it brightens and disinfects. I’ve always been a little wary of infomercials. However, the proof is in the pudding. I had seen a few infomercials for this type of product and had recently started investigating what it can really do. Oxygen bleach is safe and it works. Chlorine bleach has fewer benefits and more chemicals than its eco-friendly counterpart. Many environmentally-friendly cleaning product manufacturers have developed their own line of oxygen bleach and it is readily available. There is no good reason to ignore oxygen bleach. Once you try it you will be hooked!